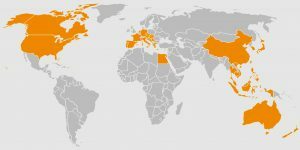 We are TOTALLY beach people, through and through… and we searched almost ALL of Asia & Oceania for 2.5 years looking for the BEST beaches that it had to offer. Here’s our TOP faves…do you see a trend here?! 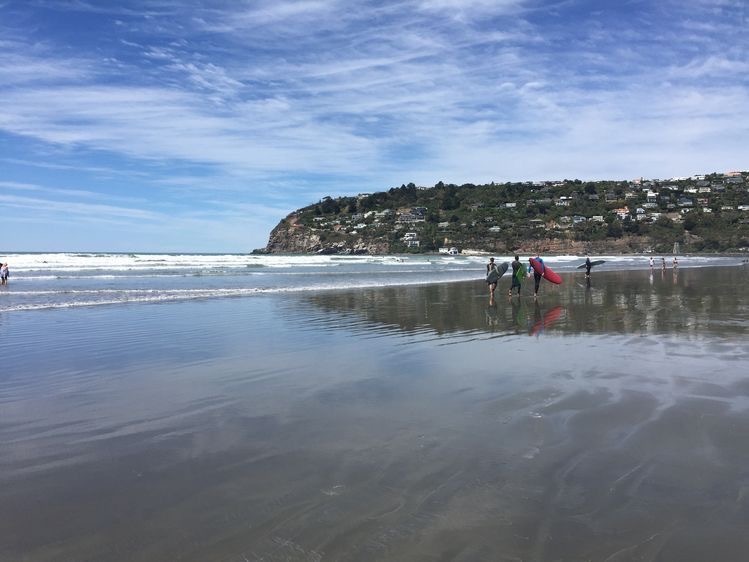 New Zealand is one of our top favorite countries of all time and Sumner Beach has a special place in our heart. This beach has a giant rock that you can climb up for the most EPIC sunrises (or sunsets) you’ve ever seen! Check out my Blog Post or Video more info! Sydney has such a buzz about it that is indescribable until you go visit yourself. 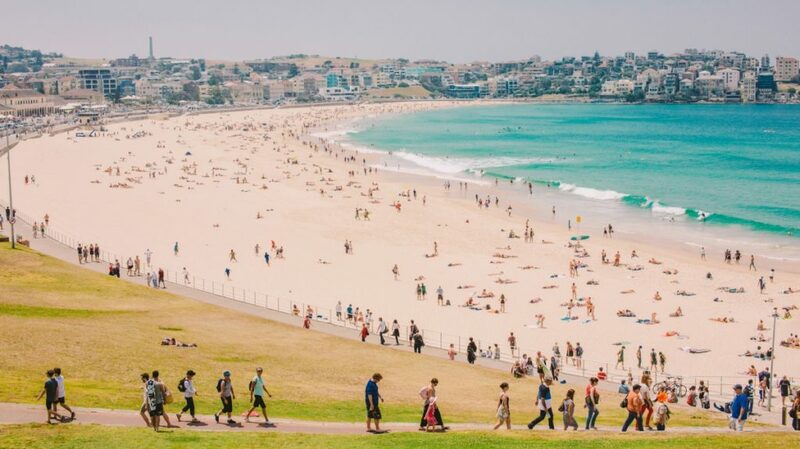 Bondi is Sydney’s most popular beach, for understandable reasons. 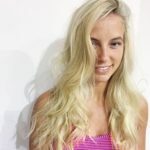 Check out my Blog Post or Video of Sydney for more details! We spent a whole month in Nusa Lembongan, making this place very near and dear to our hearts. 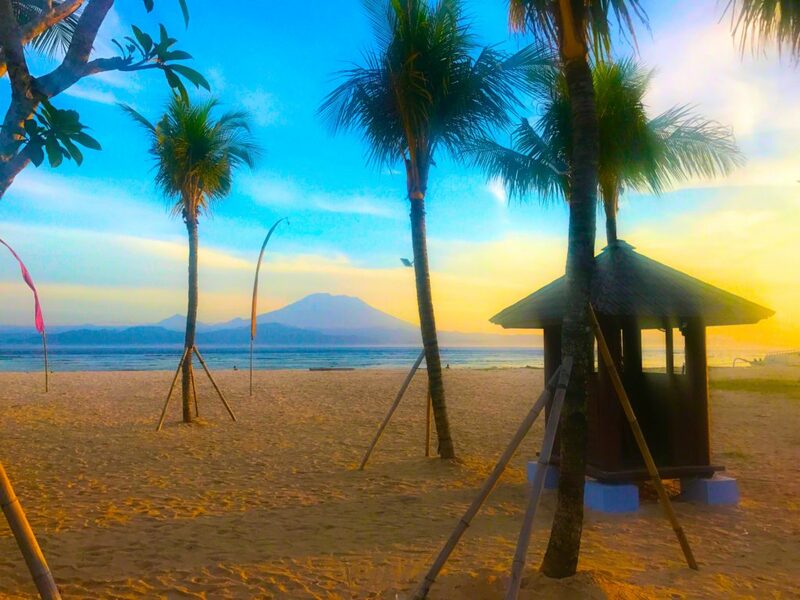 This beach is so so special because you have views of mainland of Bali with Mount Batur Volcano. Check out my Blog Post and Video about Nusa Lembongan for more details! Bingan is such a cool beach because it’s quiet, less touristy and super chill. 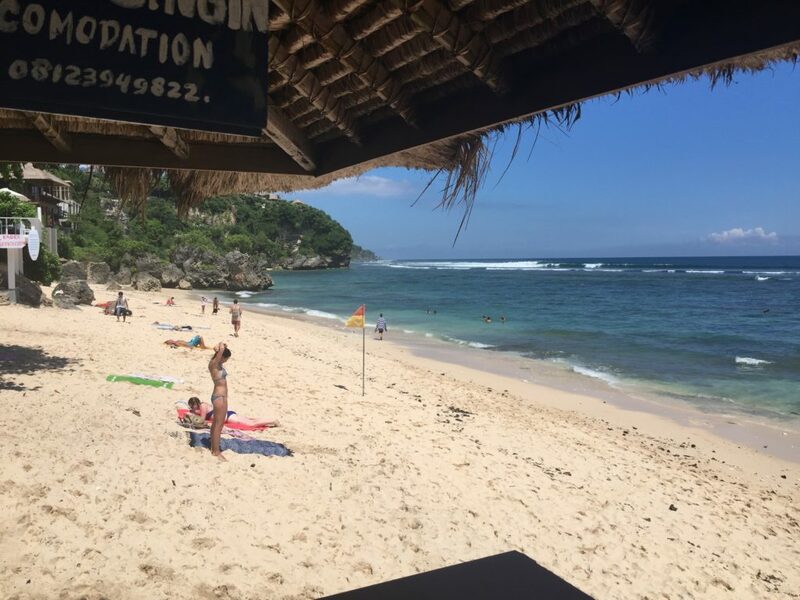 It’s also a great place for surfing or just chilling in the sand while drinking a Bintang. For more details about Uluwatu, Bali, check out my Blog Post or Video! 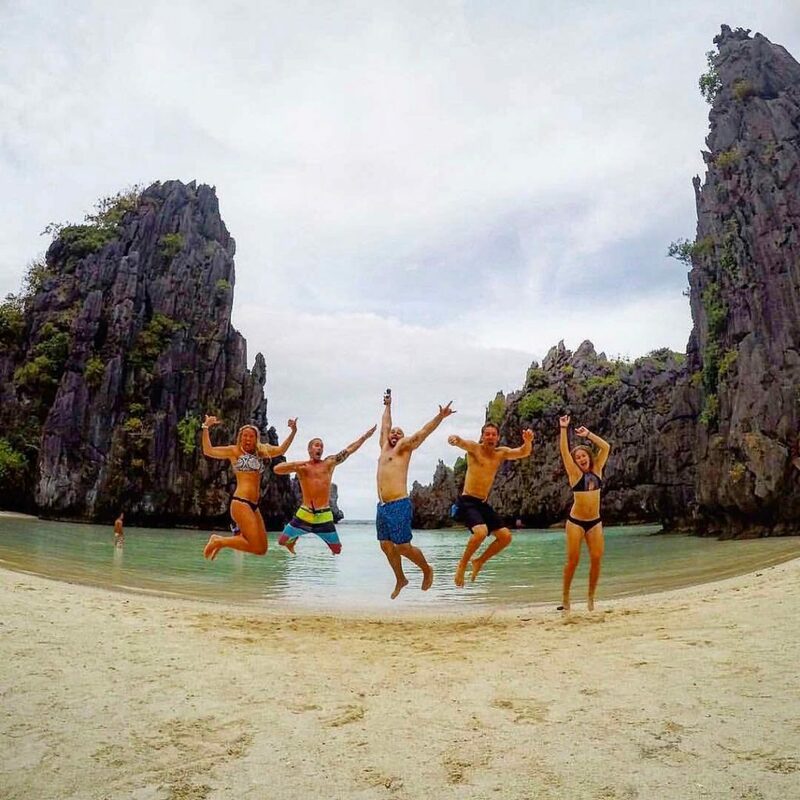 El Nido is a magical slice of heaven located in Palwan. This rustic little town has so much character and some of the best water excursions we’ve ever seen. For more details about El Nido, check out my Blog Post or Video! 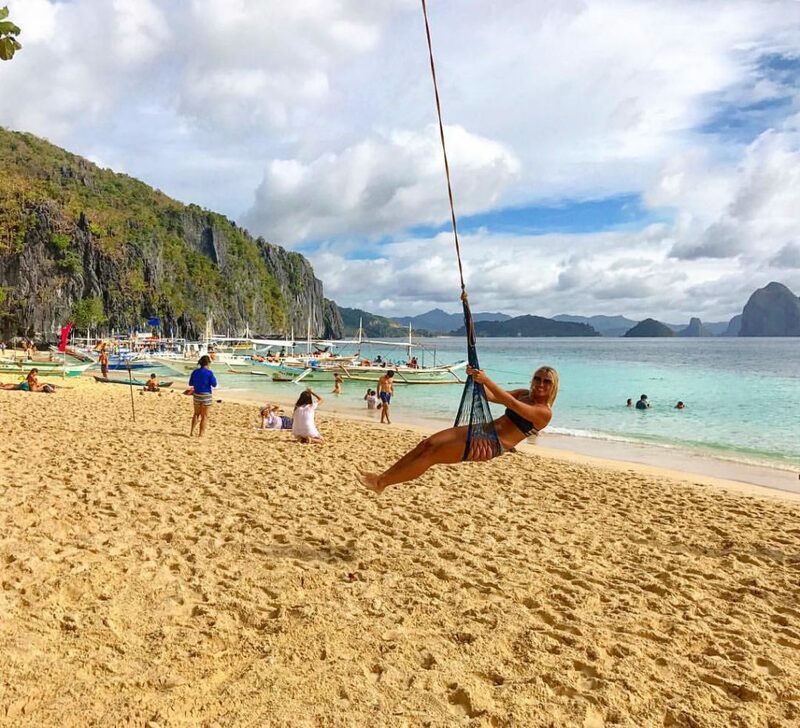 El Nido really is that amazing that it has two beaches in my Top 10! 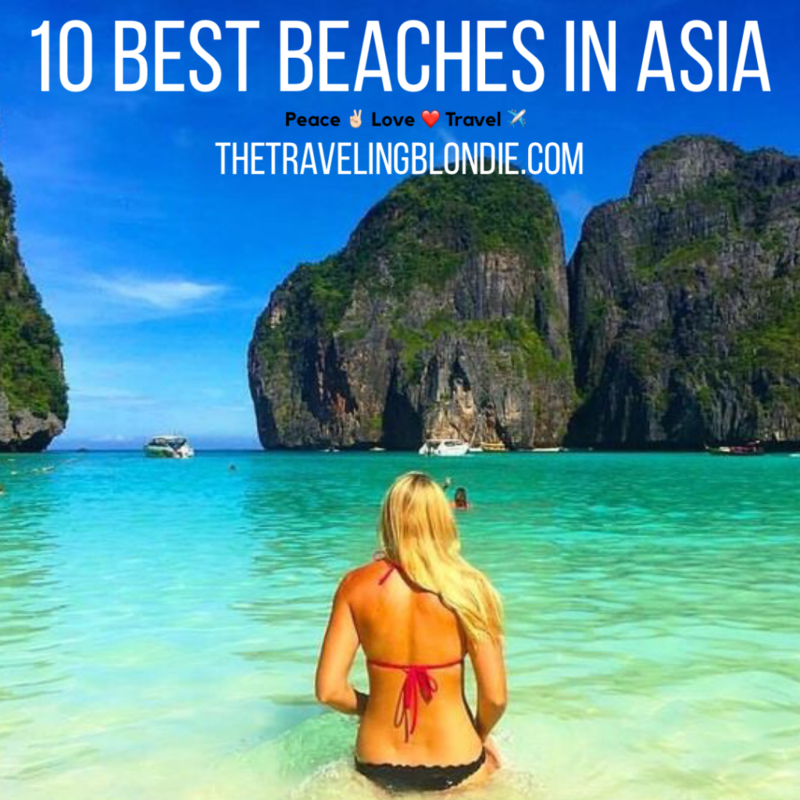 Thailand is a beach lovers paradise, with more white sandy beaches and blue water in one area than I’ve ever seen in my whole life put together, which is why it gets three spaces out of my 10 in this list! 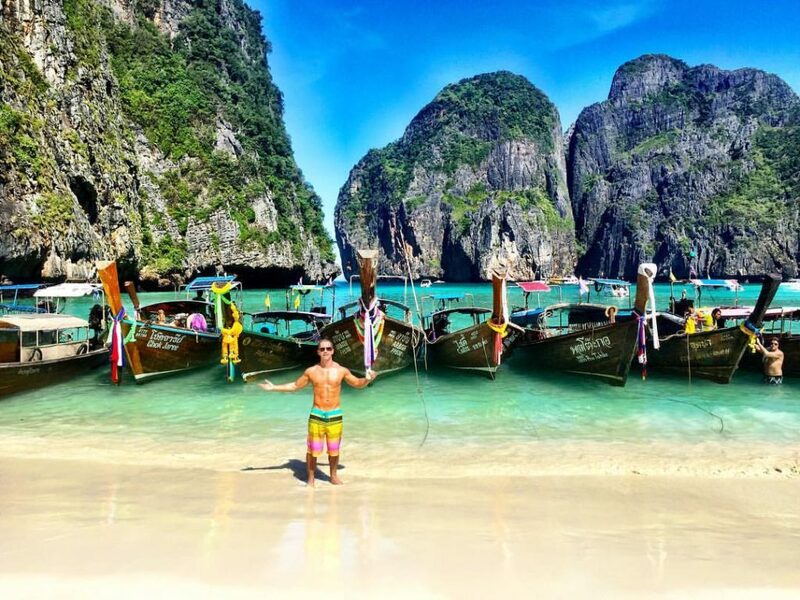 For more info about Thailand, check out my Blog Post Or Video! 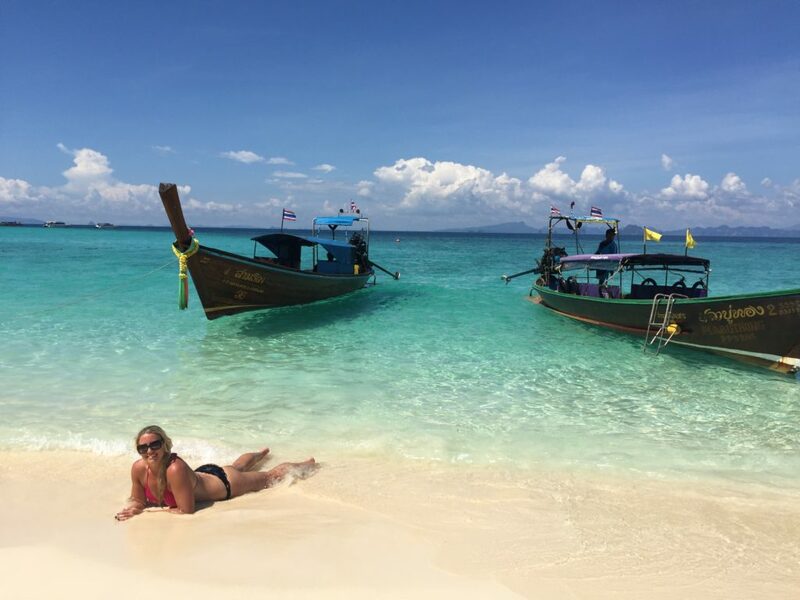 Located just a short boat ride from Phi Phi Island lies the pristine white sand secluded beach of Bamboo Island. Be sure to pack a lunch/beverages as this island is complete desolate besides its beachgoers! 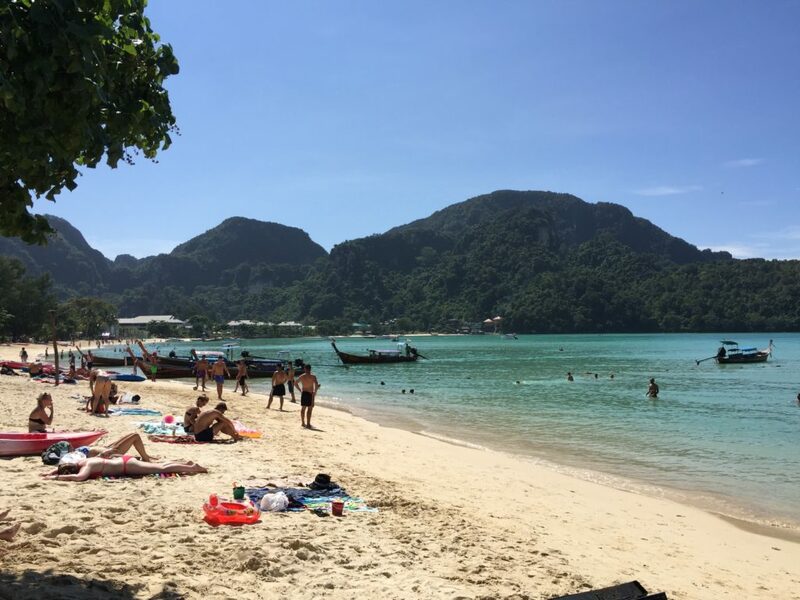 The poppin’ spot on Phi Phi Island for good music, drinks, partying and soaking in the sun. 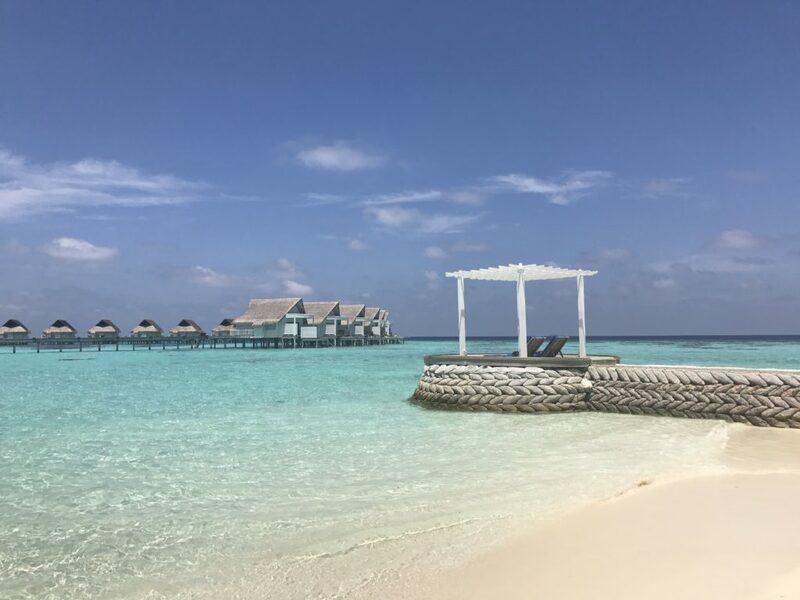 The Maldives is PURE paradise, everywhere you turn! Looking for the perfect honeymoon or relaxing getaway, then look no further than this slice of heaven. 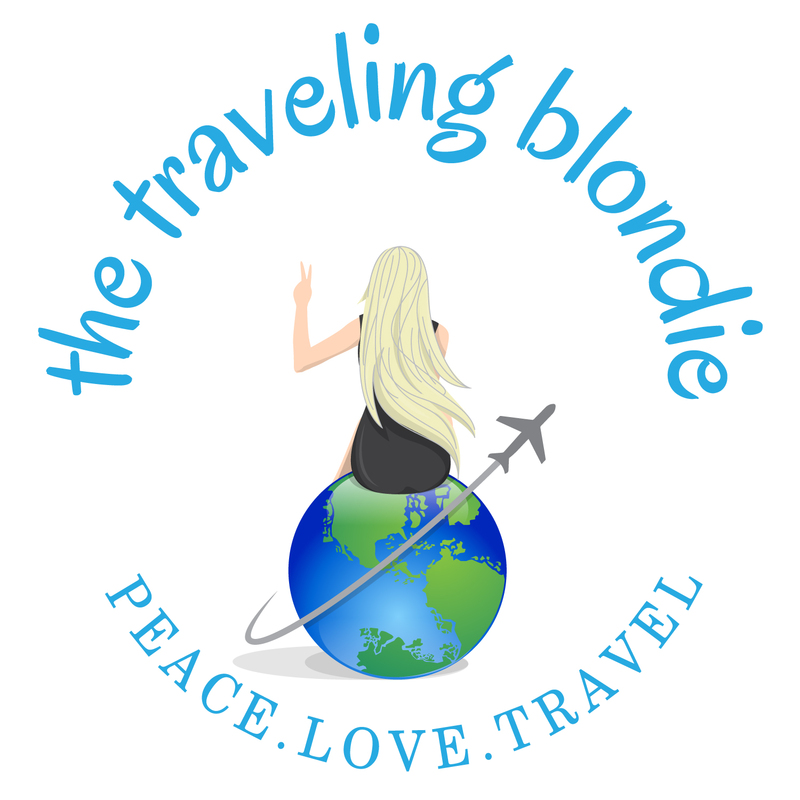 For more details about our trip to the Maldives, check out my Blog Post or Video!